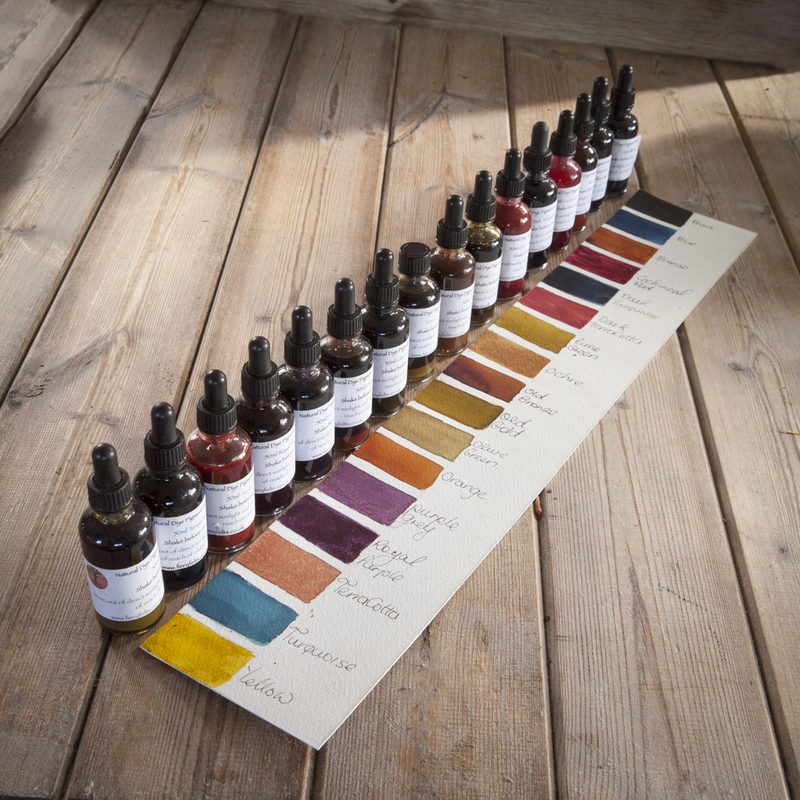 Set of sixteen handmade Natural Dye inks at £7.80 a bottle (£10 per bottle bought individually), represents a truly fantastic opportunity to obtain all of my inks at a wonderful price. Note, Green is no longer stocked as I find it tends to deterioate but the blue and yellow make a lovely bright green. For lightfastness, see individual inks.